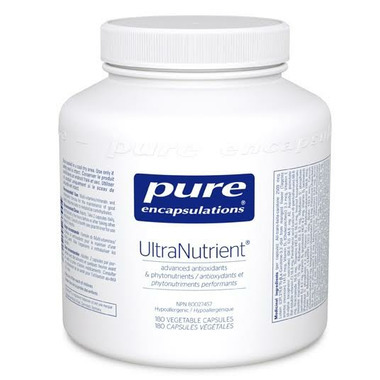 UltraNutrient is an advanced performance, multi-nutrient supplement providing exceptional broad-spectrum nutritional support. Utilizing some of the most highly recognized antioxidants, nutrients, and botanicals, UltraNutrient enhances Nutrient 950® with alpha lipoic acid, coenzyme Q10, and reduced glutathione, as well as standardized extracts of hawthorn, ginger, milk thistle and turmeric. This formula also introduces forms of vitamins and minerals newly recognized for their bioavailability and potency, including: vitamin C as ascorbyl palmitate, and beta carotene from mixed carotenoids. As part of a well-balanced diet that is low in saturated fat and cholesterol, folic acid, vitamin B6 and vitamin B12 may reduce the risk of vascular disease. Curcuma longa (turmeric) supports liver cell function, while Silybum marianum (milk thistle) promotes glutathione production and superoxide dismutase activity to protect the liver from free-radical damage. This is an excellent multi-vitamin. 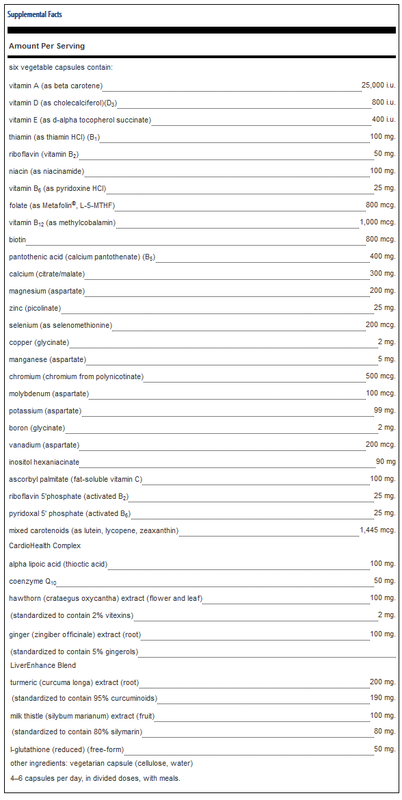 Prescribed by my naturopathic doctor and ideal. PURE are one of the best products for quality ingredients and worth the money.